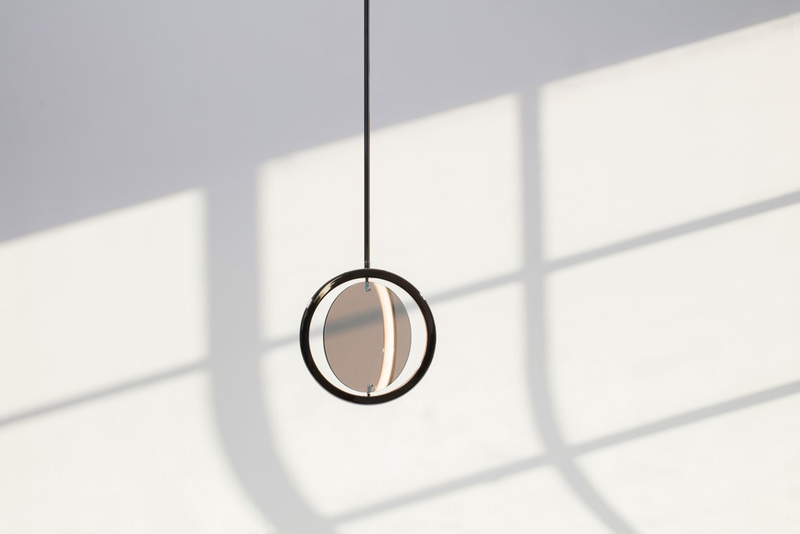 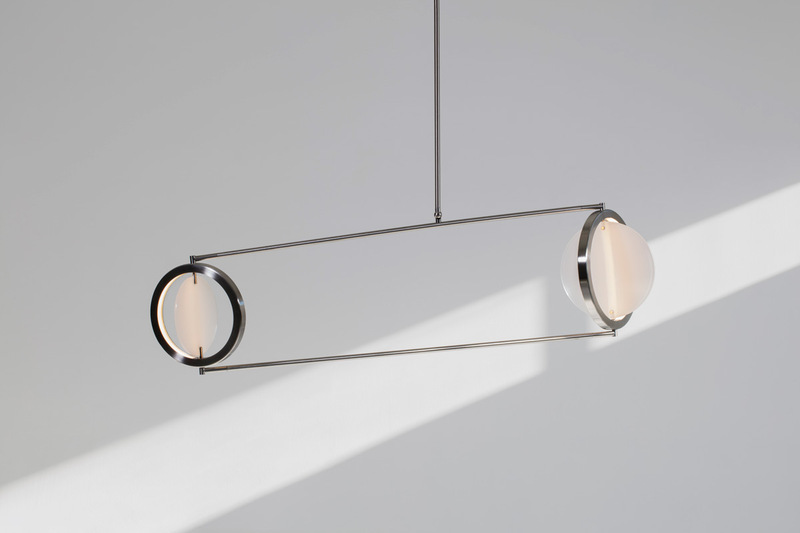 Janus is designed in the spirit of planetary movement and deep space. 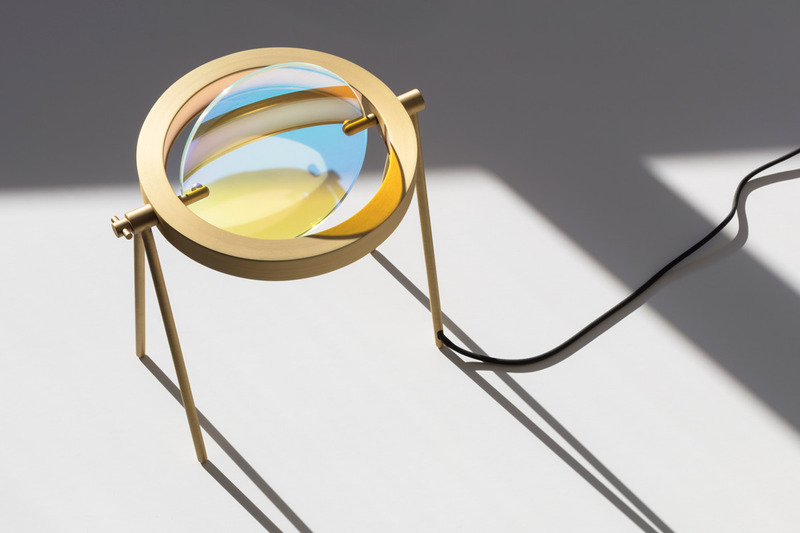 The collection is named for the two-faced Roman deity of transitions as well as Saturn’s outermost ring, two distinct, yet connected symbols. 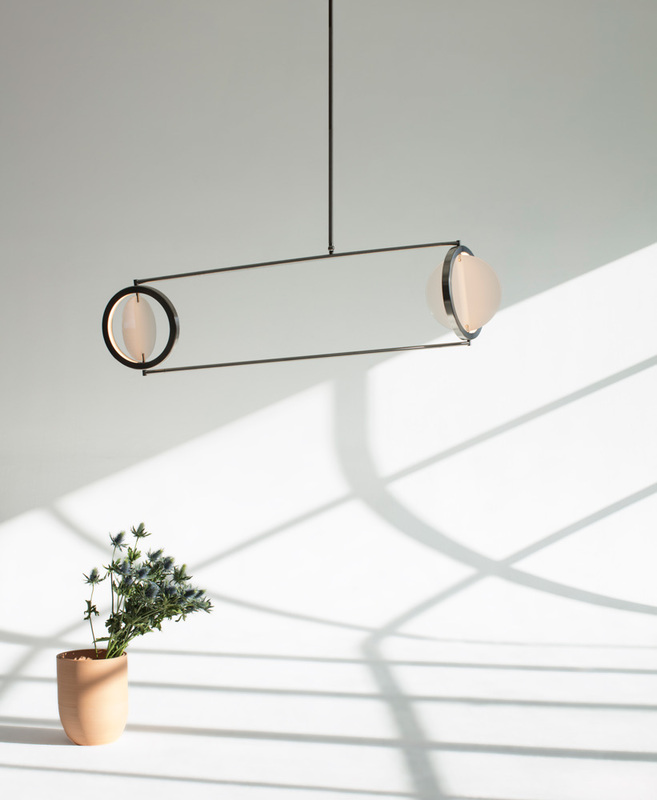 Fitted with a halo of dimmable LEDs shining inwards, the fixtures emit a soft glow towards the circular shade — rendered in transparent mirror, dichroic glass or white glass.